The Right Honorable Edmund Burke, statesman extraordinaire and advocate for ordered liberty at home and abroad. This founder of the conservative tradition railed against the king on the colonies behalf and rightfully decried the French Revolution for the exercise in debauchery it was. No man so loved tradition, his country and even the institution of the monarchy, more than him. Even so, it would be in his defense of the Rule of Law for which he is most fondly remembered. Many a liberal has tried to lay claim to his astounding legacy but to no avail, he was no liberal. After his death Charles Fox and the liberal ilk of his day destroyed his beloved Whig Party. Nonetheless, his legacy stands true to this day. 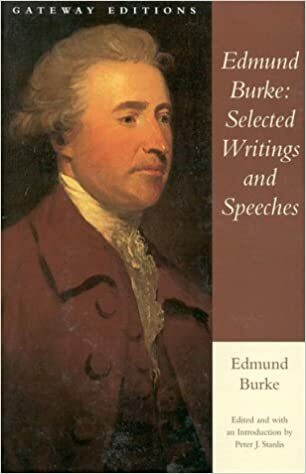 To understand Conservatism is to have read Burke. This book only gives a taste of his genius but covers his most enduring works and speeches. Read, enjoy and be enlightened.